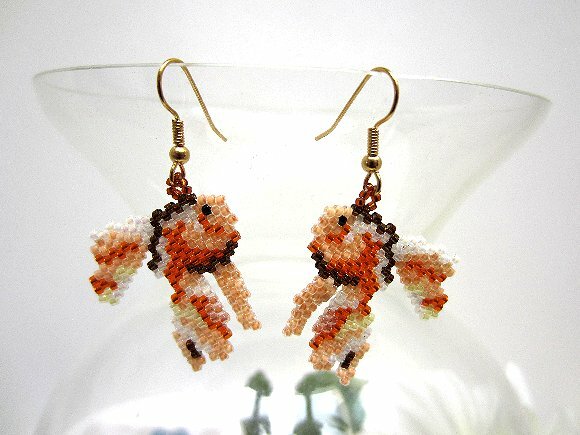 These delightful lightweight beaded earrings want to swim your way. 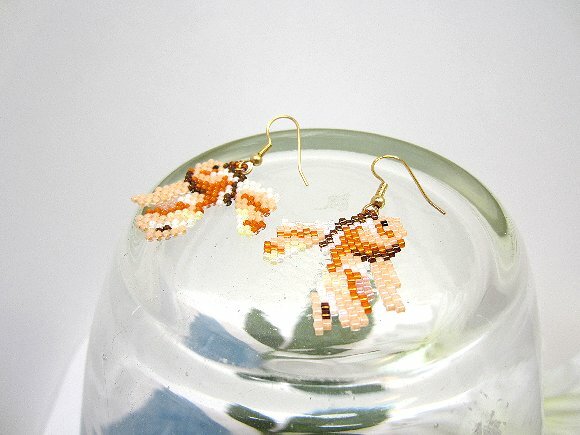 They're hand beaded using itty bitty glass beads, each one individually sewn into place. 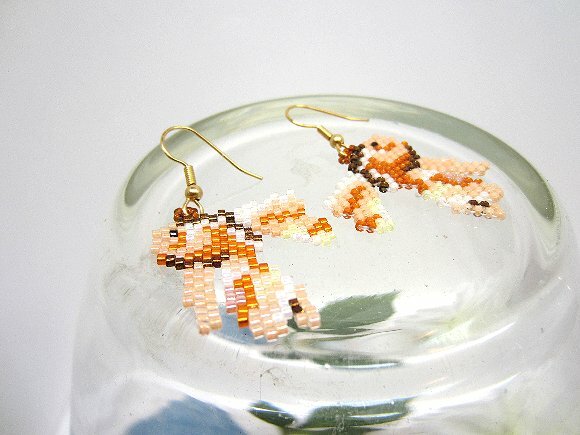 Sparkling orange, mellow creme and commanding bronze go together to depict surprisingly realistic goldfish colors. The earrings dangle about 2" from the tops of their gold plate findings. 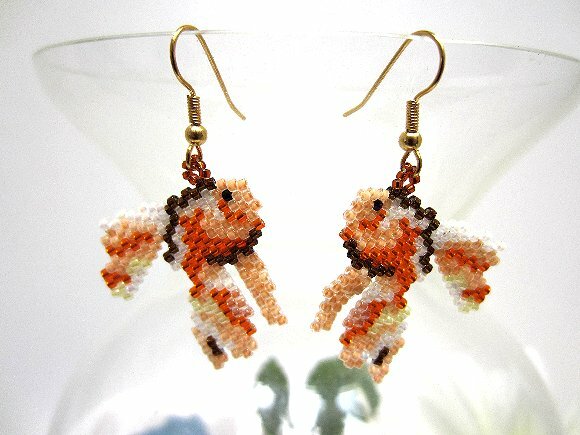 I am told that in China, the goldfish is a symbol of wealth and good fortune. 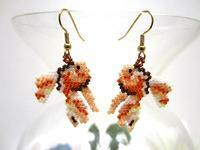 They're another pair of adorable earrings from SPARKLE PLENTY.